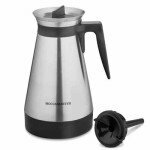 This is the list of replacement carafes for Rival, Technivorm and Toastmaster Coffee Makers. Technivorm part no. 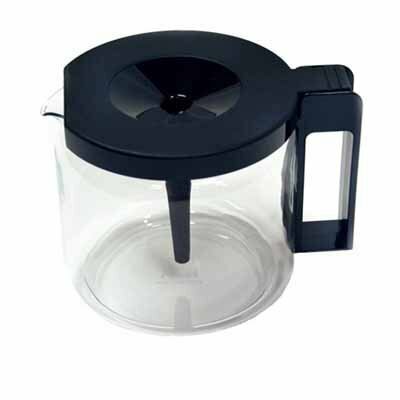 Glass Carafe for Technivorm Moccamaster KBG/CD Brewers. 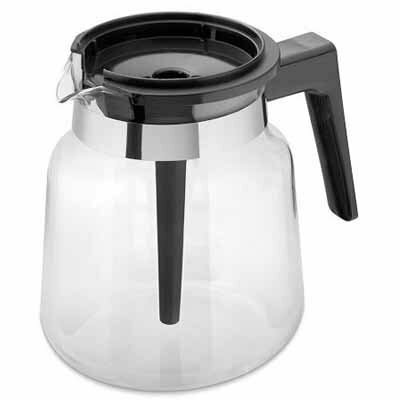 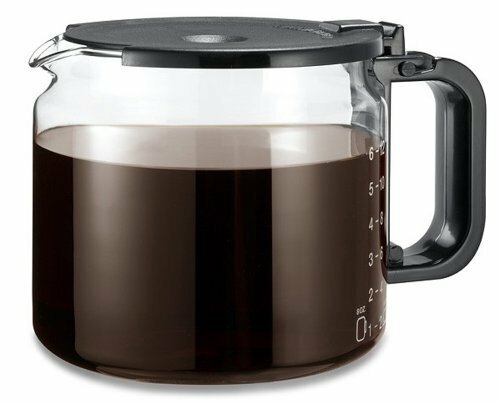 This Technivorm carafe fits the KBG-741 models as well as the CD and CDG brewers that brew 1.25 liters of coffee. 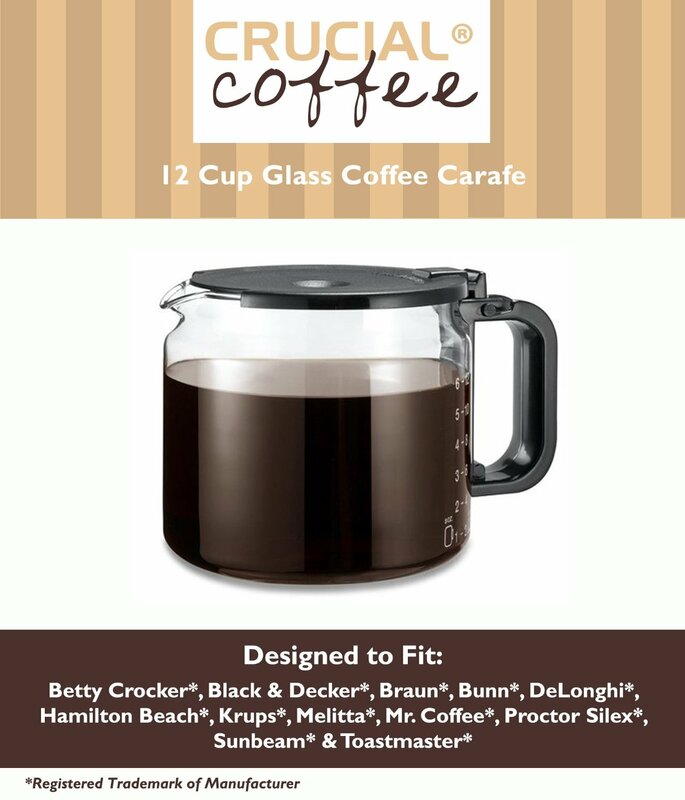 It does not fit the 1.8 liter CD Grand AO brewer. 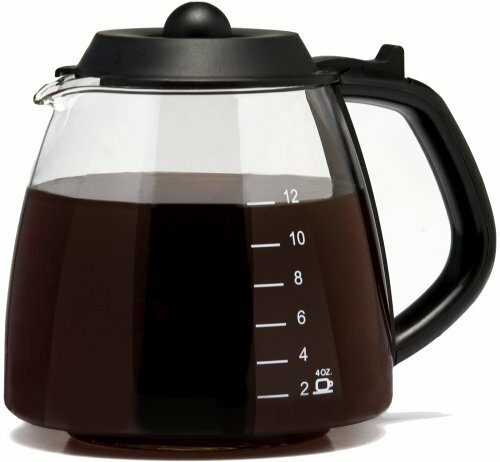 Crucial Coffeepart no. 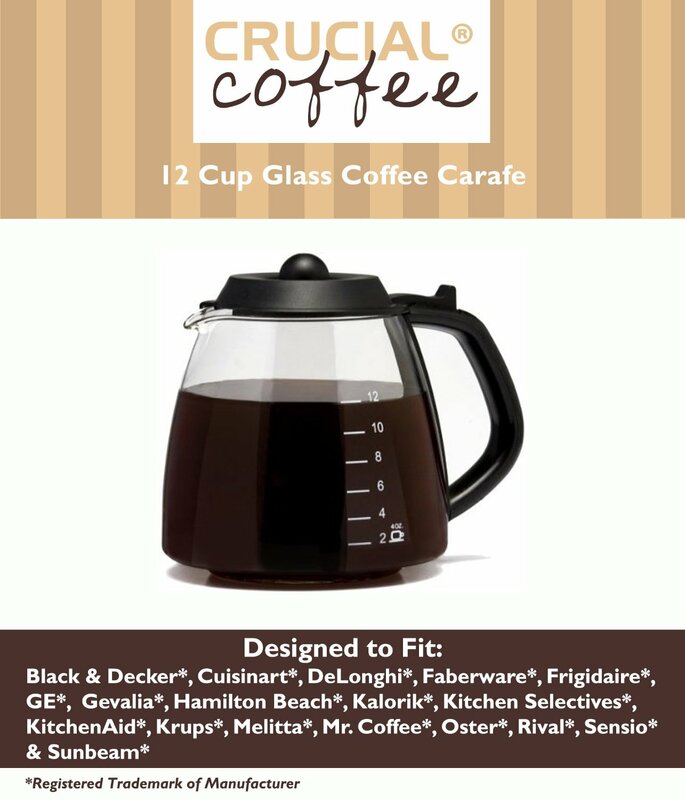 GL212 Fits Toastmaster Coffee Maker Models TCM12PW (w/10 cup adaptor) & TCM12W (w/10 cup adaptor).